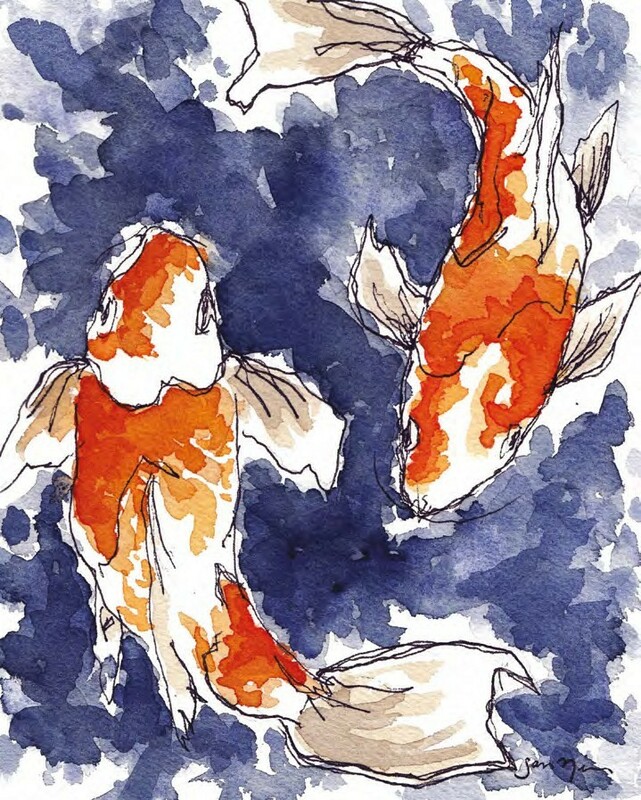 Samantha Nielsen, Koi Fish, 2016. Here, the water shows scumbling that is close together. 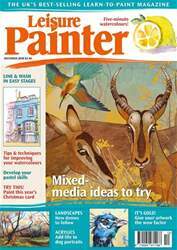 Instead of pulling the brush in a long stroke, the brush was used to dab colour on the page. Since each layer dried underneath, the water shows at least three layers of colour as the intensity increases. 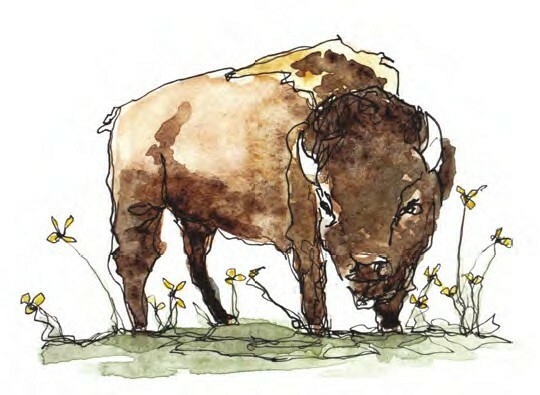 Samantha Nielsen, Bison, Fargo, North Dakota, USA, 2015. Scumbling was used to create the texture in the bison’s fur. Where the light colour meets the dark is where the brushstrokes started to break.